Black River Entertainment will release a limited edition vinyl version of Kellie Pickler’s current album, The Woman I Am. This is the first vinyl album for Pickler, and it features exclusive cover art, different from the CD version. Featuring photography by Robert Ascroft, each image used in the vinyl packaging was captured inside the “Motown Suite” a part of United Record Pressing, where the vinyl was physically pressed. Autographed limited edition copies of The Woman I Am can be ordered at kelliepickler.com, to be shipped on June 27. 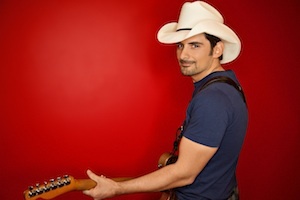 Brad Paisley will perform two new songs for the upcoming movie Planes: Fire & Rescue, including “All In,” a song he wrote after hearing of the film’s firefighting themes. Paisley will also lend his voice to the project in a cameo appearance as a pickup truck in Honkers Sports Bar. The original motion picture soundtrack will release on Walt Disney Records on July 17, and will feature a score by composer Mark Mancina. Planes: Fire & Rescue will release in theaters July 18.